I don’t use the word epic lightly. Or at all really. 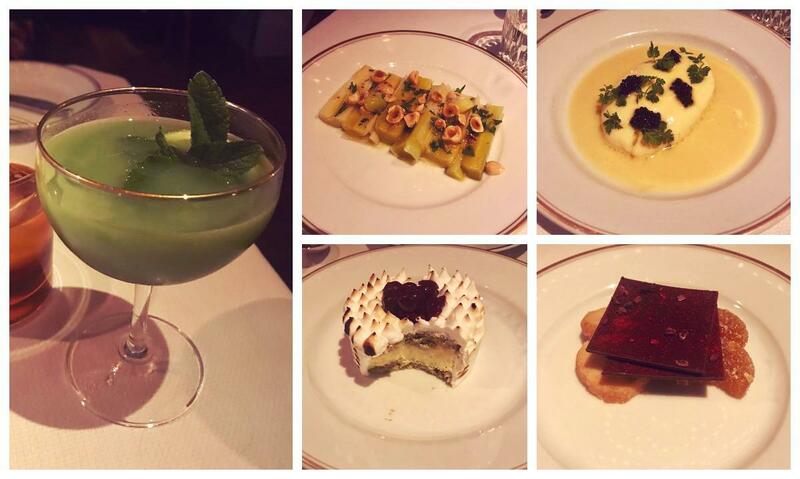 But I made sure to have an amazing, unforgettable food week before I left NYC for good. Even though I wasn’t that hungry or in the mood for cheesecake, I ordered delivery from Cheesecake Factory and ate it in my empty living room, the night after all of my packed possessions (majority of my furniture, which I sold and gave away) were hauled off in a moving truck for a very painful price. I could not eat out the rest of the year and I still wouldn’t come out even. I’d written off Le Coucou long ago since they never listed tables for one on Open Table and they don’t do bar seating. But I checked on the off-chance and found a 5:30pm slot available on the day that I had been roped into doing a big work presentation that sucked up a lot of time that I should’ve been devoting to packing and getting my affairs in order. My plan was to do the presentation, cut out early for a bunch of drinks, then go to a fancy solo dinner despite the practice still inducing anxiety even after four years of practice. The presentation ended up getting canceled because I botched a rehearsal, all my work was for naught, so I still ended up day-drinking (at home) but invited one of my few–possibly only– friends who is the rare combination of having disposable income, no food hangups, and will go anywhere on a weeknight despite not even living in “the city,” a phrase I took offense at as a Queens resident in the late ‘90s but had started to use by 2018 as a Queens resident again. I started with the Bon Voyage (rum, pistachio orgeat, chartreuse verte, lime) which I only see as symbolic now a month after the fact. Goodbye! We ordered the super soft leeks and hazelnuts, quenelle de brochet “Route de Reims” in champagne beurre blanc and topped with caviar, the rabbit presented multiple ways (which I forgot to photograph poorly with my phone) and ended with the flambéed omelette Norvégienne (more pistachio). 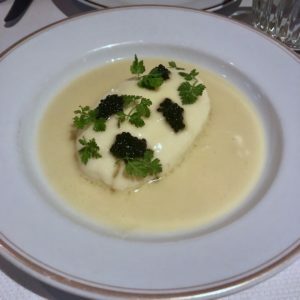 I’m almost embarrassed to admit I have never eaten a quenelle and never made it to Le Grenouille even though I gave it some serious thought a few years ago. 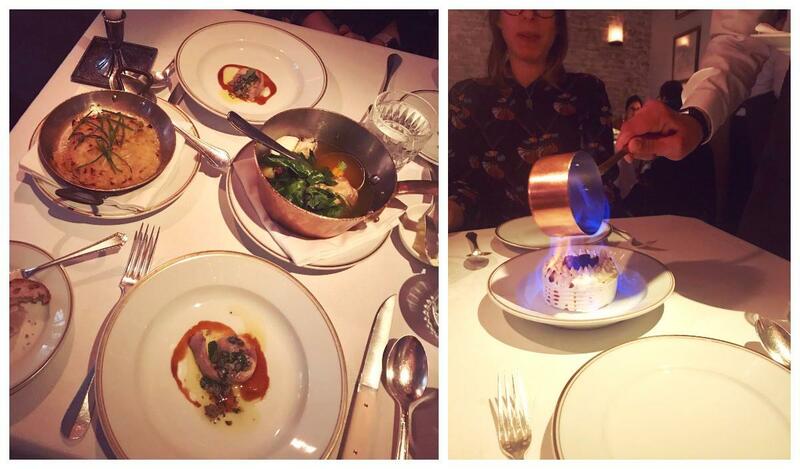 I’m not embarrassed to admit we drank the lowest priced sparkling wine with this meal because who cares. We were nudged to order more food, but the amount was fine. Also, Le Coucou doesn’t list prices online which is frustrating even if money isn’t an issue. And it didn’t appear to be an issue for anyone–grown children accompanied by parents with very taut facial skin, and tan, impeccable types that only exist as fictional characters here in Portland where grown men wear shorts and polar fleece when fine-dining. That Le Coucou played a minor role in the Anna Delvey tale is telling. 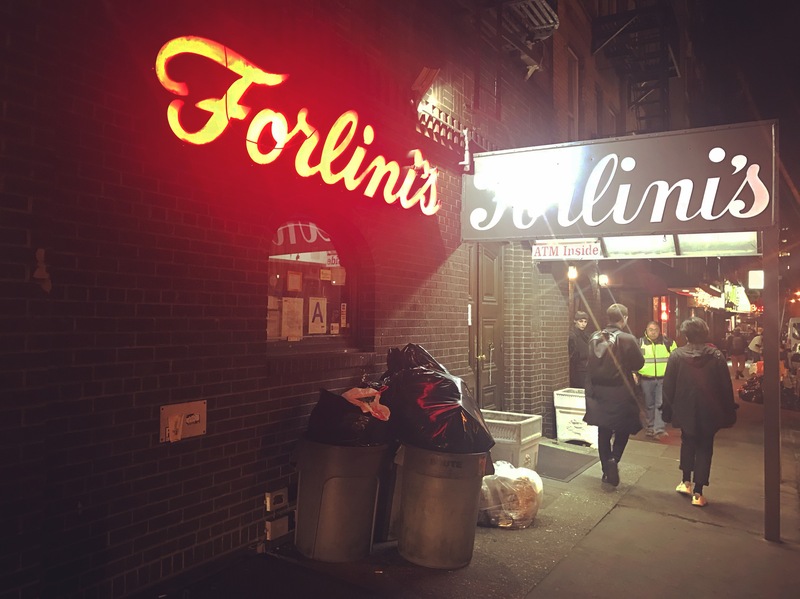 Then to one of my favorite dark, comfortable bars, Forlini’s, that I accidentally discovered just a few years ago when I needed to go to the bathroom in Chinatown. 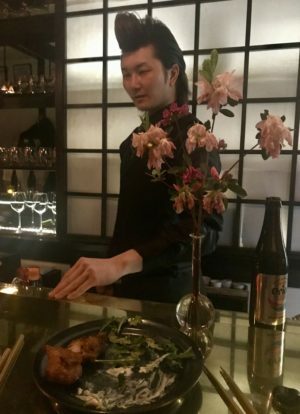 It’s kind of a cop and city worker bar because it’s across from the Manhattan Detention Center and near the courthouses, and also filled with regulars that aren’t too young and rambunctious. It was closing for a private party at 8pm so the bartender, who I think is Portuguese, gave us free shots. But he also gave me a free shot on my last visit so he’s likely just congenial. Opposite the bar are booths for two, which always get me. Off the top of my head, I can’t think of an equivalent bar in Portland. Most that come close are too divey or too fancy. Forlini’s and Fanelli, both starting with F and ending in I, are dive-like holdouts in neighborhoods that have changed mightily since they were established but they also draw professionals not just blue-collar drinkers. I’ll have to think on this. I always thought of Hi-Collar as a Japanese coffee shop. It was only recently through Instagram that I saw they became more bar-like in the evening. I missed when they were doing a weekly highball thing (and I was sad that I packed my Suntory pins I got in Kyoto even if it might be dorky to wear them) but wanted to stop by anyway even though I had already reached my Thursday night limit. I ended up with a Japanese stout and a plate of kaarage, followed by a highball containing a whiskey which I can’t remember at all. This was when the friend and I parted ways and I should’ve gone home but walked roughly ten blocks up from the east village to Molly’s, another bar I like, talking to guys I probably shouldn’t have, then walking 20 more blocks up to Grand Central. After one month in Portland, I can say that I don’t miss the subway at all, especially having to stand at 2am which is unfathomable to anyone in cities where bars close early and the streets are desolate after 10pm. And I love driving, but it is not so great to have to think about how much you’ve been drinking because you need to drive yourself 20 miles home because your temporary home isn’t even in Portland but you still say Portland because no one has heard of Scappoose. When I said this was the last hurrah, I meant an ode to my final days in NYC. But it might be this blog’s last hurrah too. That kind of makes me sad, but as I get older I have less time and energy to devote to niche interests and I have other interests I want to pursue that are less saturated by others.